NEW YORK - You had to be there. As Americans took to the streets Saturday, defying a political order that, in Washington and many state capitals, has allowed extremists to write gun laws, the bodies — of both the dead and the living who marched in their honor — mattered a lot. Hundreds of thousands in cities big and small showed up. It was an extraordinary coming-out party for a movement that is now, at long last, undeniably mass. 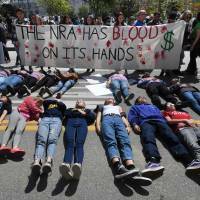 The marches against gun violence would not have been as big without the undercurrent of rage that liberals, Democrats, good-government activists, racial minorities, ethical conservatives and others carry through daily life under U.S. President Donald Trump’s regime. And they wouldn’t have been as big without the cathartic breakthroughs of #MeToo and the Women’s March that preceded them. Like the Republican Party and Trump, the NRA responded to a diversifying nation by cultivating racial reaction. Before Trump’s “American carnage,” NRA leader Wayne LaPierre routinely portrayed the U.S. as a dystopia overrun by madmen, criminals, perverts and fanatical terrorists. The government won’t save you, LaPierre told his followers. Only guns — lots and lots of guns — will. The NRA seized its advantage under GOP legislatures and a GOP Congress to promote a no-compromise agenda of guns everywhere for anyone. It went for all the marbles — guns in bars, churches, schools, colleges, parking lots, playgrounds — hoping to make them so pervasive that the cultural pendulum could never swing back. And it fought, even after massacres of children, to make sure that the most damaged and dangerous among us maintained convenient access to military-grade firepower. Instead of seeking to accommodate a changing world, it vastly overreached. Payback is unlikely to be pleasant. “Hey, hey, ho, ho, the NRA has got to go” was a frequent chant throughout the country Saturday. If you’re looking for long-term power and relevance in the U.S., getting on the wrong side of kids, women and racial minorities is probably not the best idea. The NRA understands this. 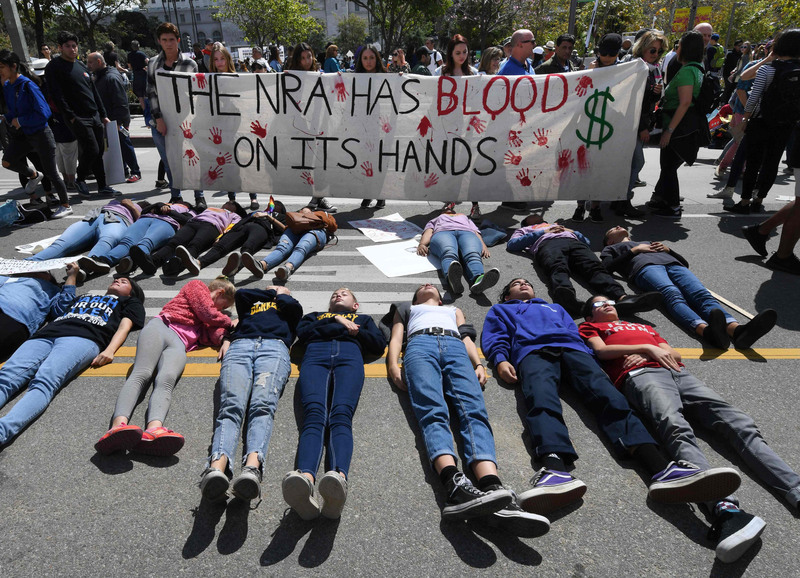 The group has been making left-footed attempts in recent days to show it’s hipper than you think, even featuring NRA spokesman Colion Noir, who is black, taking offense at the white privilege of the kids who survived the shooting at Marjory Stoneman Douglas High School in Florida and have become leaders in the gun-safety cause. Black lives (suddenly) matter; just don’t expect support from the NRA if your black son gets shot by a thug or a cop. The NRA remains a powerful organization. But it’s less powerful today than it was yesterday. It’s less powerful in 2018 — which has already seen a spate of gun regulations passed, even in gun-crazed Florida — than it was in 2017. Blue states across the nation have been enacting aggressive gun regulations without the slightest fear of the gun lobby. California and Hawaii, two states that look more like the American future than the American past, are among the leaders. And now the gun lobby is facing a countervailing movement. Anxiety, it turns out, is not the exclusive purview of old white men uneasy about the empowerment of women and the racial composition of the nation. People afraid of being shot, or losing their children, willy-nilly because any fool can get a gun are also anxious. The marches helped ease their symptoms but with a side effect: It caused trembling in the gun lobby. Francis Wilkinson writes editorials on U.S. politics and domestic policy for Bloomberg.